In the final days, humanity faced its last hour of existence, and, with a whimper, they passed from earthly life into something inhuman. But all species are difficult to extinguish, and this tale reveals that there were seven imperfect souls in all of mankind selected for survival. What at first seemed like a blessing soon proves to be a nightmare among the unforgiving dead. 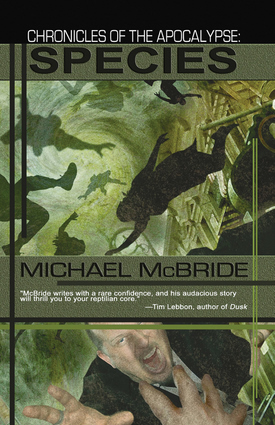 Michael McBride is the acclaimed author of several novels, including The End Race, God's End, Legion of Wrath, and Zero. He lives in Broomfield, Colorado.